This is how a prepare for a trip. 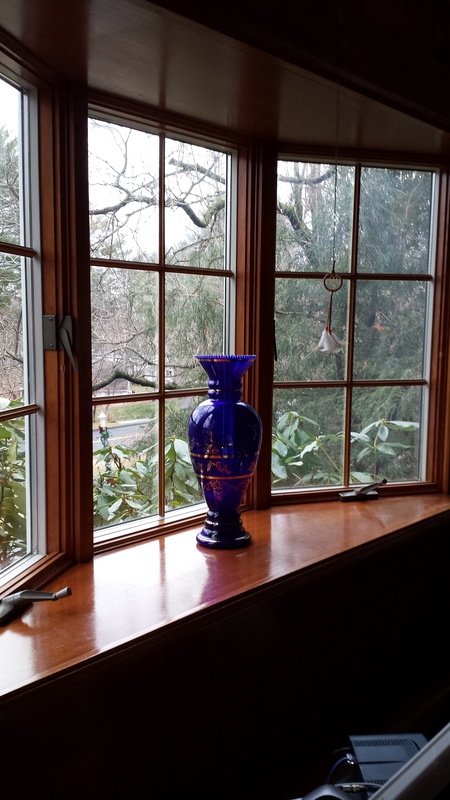 You’ve seen this window recently–it had the amaryllis in it, with the pot covered in stones. Needless to say, no plants here now. My east and south bay windows look mostly like this one, with the exception of a few cacti and succulents that I know can survive 12 days of sun (if that’s what we happen to have in my absence) without water. And here are all the plants. 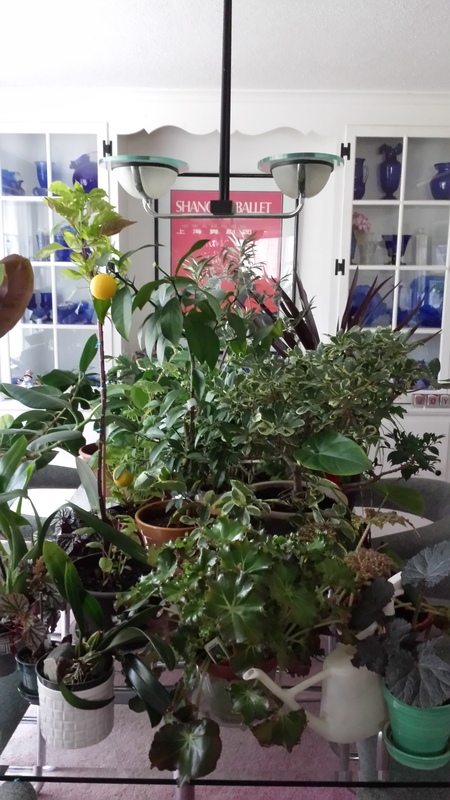 You can see the lemon tree, the begonias from that east bay window right down in front, a few orchids, some bonsai (oh boy, that’s going to be tricky! they’re near the back!) and lots of other things, needless to say. I’ll water the most vulnerable (the bonsai) right before I leave, and then it’s every plant for itself. Of course I’ll lose a few things. What’s the alternative? Not to travel? That’s not a good alternative. And I don’t ask the house sitters to water. Their primary job is to focus on treating the dog well. Besides, when I have asked them to water (not these particular sitters, but others in the past), I have only come away with a false sense of security and come home to either lots of dead plants or plants floating in water that have subsequently rotted. No one knows how to water–not even the Spoiler. It’s not their fault. This little task–moving the plants, and soaking them well before I do move them–takes a good couple of hours. It will take another couple of hours once I’m home, on top of all the other responsibilities I have when I return. But if the plants–or the majority of them–survive, it will all be worth it. Next Article What Can a Gardener Do in The Winter?